Location! Location! Location! 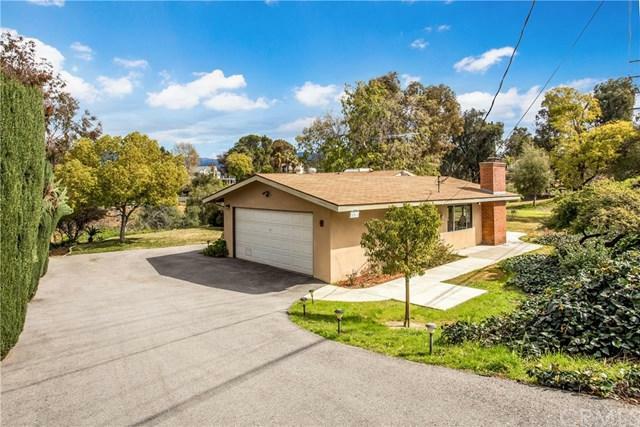 Tucked away in the beautiful hills of Redlands on Sunset Dr. considered to be one of the most desirable locations in Redlands! Take in the spectacular sunrise and sunset displays that Sunset Dr is so known for. Enjoy the peace, tranquility and breathtaking canyon, valley and snow capped mountain views! 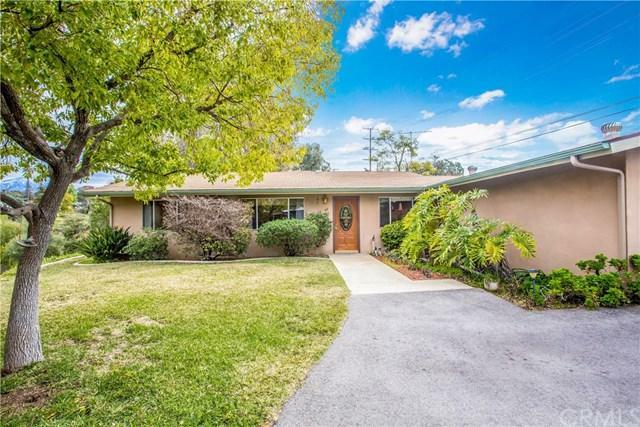 This single level, 4 bedroom home has been well loved & meticulously cared for by the same family for over 50 years and is now ready for someone new to make it their own and ca Location! Location! Location! 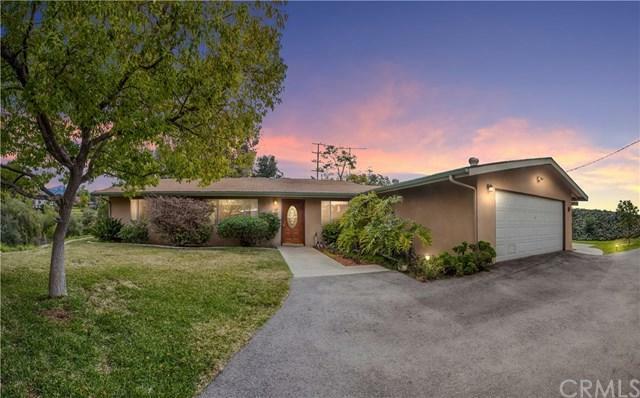 Tucked away in the beautiful hills of Redlands on Sunset Dr. considered to be one of the most desirable locations in Redlands! Take in the spectacular sunrise and sunset displays that Sunset Dr is so known for. Enjoy the peace, tranquility and breathtaking canyon, valley and snow capped mountain views! This single level, 4 bedroom home has been well loved & meticulously cared for by the same family for over 50 years and is now ready for someone new to make it their own and call it home. In recent years, the owner has had the water main from the street to the house replaced, added a new sidewalk along with 3 patio areas, a drainage system and upgraded the irrigation. New insulation has been blown into the attic ceiling walls with a new gable fan. The kitchen was remodeled in 2012. The driveway was repaved in 2016 and rain gutters installed in 2017. Situated on its own park like setting this double lot with over an acre of land has tons of potential and plenty of room to expand. Let your imagination soar as the possibilities are endless! The tax rolls list the home on Parcel 1 with a lot size of 23,698 sq ft. The lot size of Parcel 2 is listed at 22,100 sq ft. Both lots are included in the sale. Located in the award winning Redlands school district. High above the city yet just minutes to downtown. DonÃƒÂ¢Ã¢â€šÂ¬Ã¢â€žÂ¢t miss this opportunity! 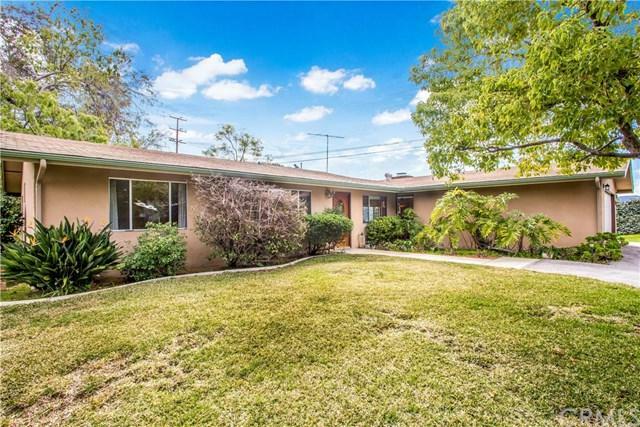 Call now to schedule your appointment to see this Redlands gem!